St John’s church has had a long and glorious musical tradition beginning in 1850, in the days of the Rector Canon Oakley (translator of the famous hymn ‘O come, all ye faithful’), when monthly choral and orchestral concerts were given, featuring famous artists such as Vincent and Clara Novello. In more recent years, the church organ has also featured many times on radio broadcasts and was once heard every Sunday when you turned on the television for BBC’s Songs of Praise programme: the theme music you heard was recorded on the organ at St John’s. The church’s large choir in the 1930s was disbanded at the outbreak of the Second World War, but revived again in 1955 by Edward de Rivera, the Director of Music, who could boast that a different Mass setting would be heard each week over a three-year cycle. This was when many new works received their first performance here. Two such composers included John McCabe and Malcolm Williamson. The late Sir Malcolm Williamson, Master of the Queen’s Music, was organist at St John’s in the early 1980s. The St John’s church Choral Society performed at many central London venues and elsewhere. Vatican II in the 1960s saw the disbanding of the choir once more, and later in the 1970s the formation of a ‘folk group’ took place. More recently there has been a music group singing for the 10.30 Family Mass and an amateur choir singing each week with a cantor for the 12 noon Mass. A Gospel choir has been formed to sing on occasions at the Sunday 6pm. Thanks to the generosity of the parish and parish priest, there has been a professional choir singing for the Holy Week Triduum, Christmas Midnight Mass and other special services when music plays such an important role in the liturgy. This is directed by Adrian Gunning GTCL FTCL LTCL PGCE, appointed as organist in 1986 with responsibilities as organist for weddings and funerals, playing for the 12noon Mass on Sundays and other important ceremonies. 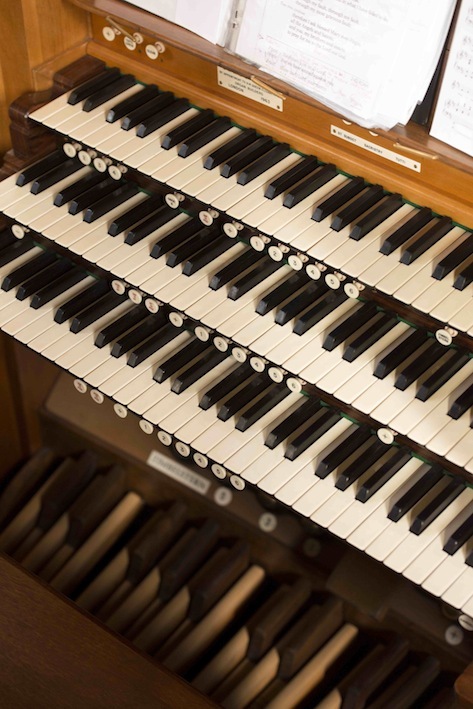 He has also overseen the gradual restoration of the unique and famous 1963 Walker organ in St John’s, and the revival and continuation of the organ concert series which began in the early 1960s, and now continues every month from April to September.